well, 8 o'clock yesterday morning, I get the theme 'two world'. It is not my favoriate theme :) But I put it for my second choice, just because I like this word. I have two sons, and they are two world in my reality. And in fact, I have no idea about the game itself, I do not have much time this time, my little son is only 3+ month, I have to take care of him when I get home, and I do not want to miss pyweek, so maybe I take an easy game as my entry. 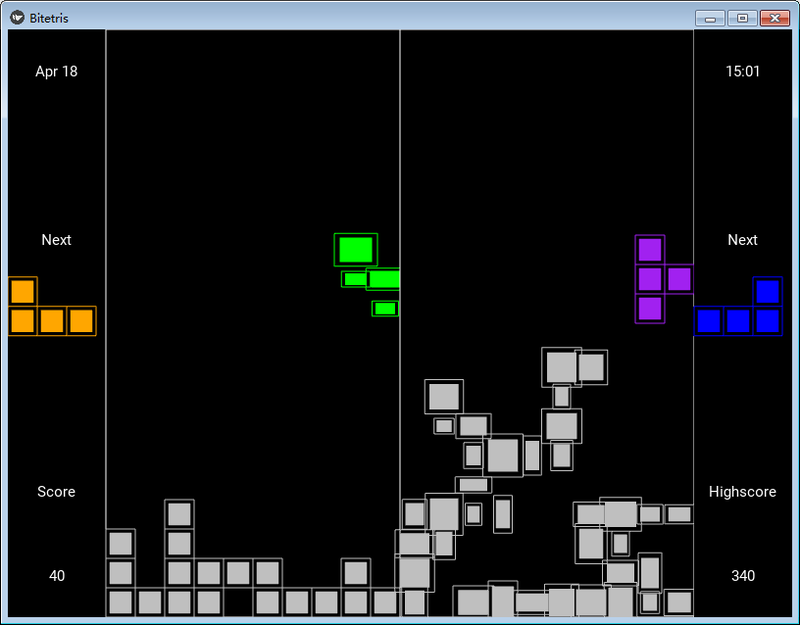 I have an idea is about bi-tetris, the screen is divided into two part, both of them is a single tetris game, but the player control both of them at the same time. then I add some fun elements in it.